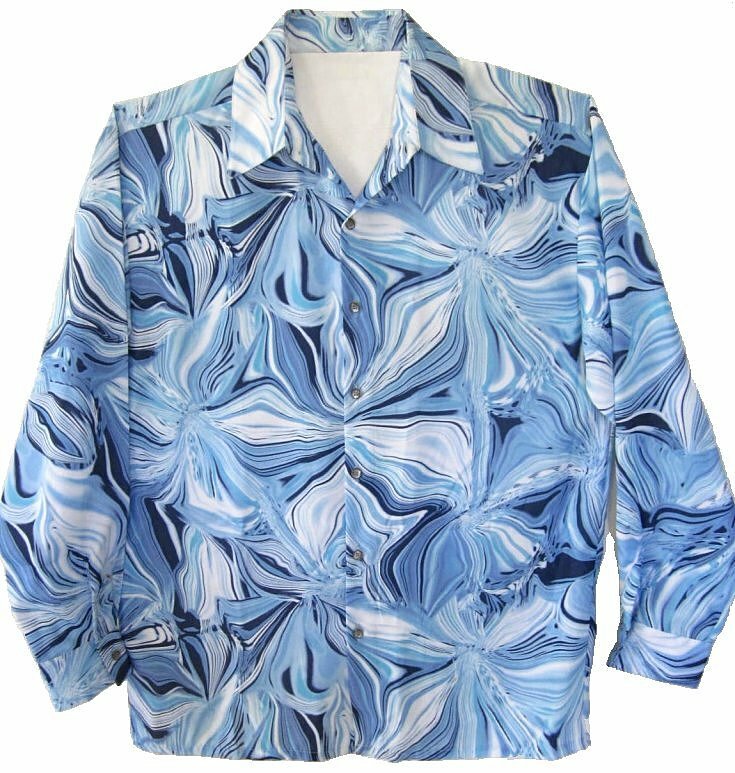 This is a fantastic reproduction disco shirt. blue, lavender, turquoise blue and white. or not at all. Mint condition. Wear with navy blue, white or light blue pants. The shirt measures 48" around at armpit level for a loose 44 fit. The length is 32". Sleeve length is 33". The real sequins are 10mm. The reproduction shirt will work for a Disco Party.